This workshop is designed to be a separate space from the rest of the museum but visually accessible through a large picture window looking into it from the exhibit area. The workshop will include tables and benches for creating traditional plaster hand casts and space to create a traditional face cast. Museum visitors can watch a live workshop from seating placed outside the window or when there is no activity, can watch a video of a life cast being created on the monitor directly above the window. 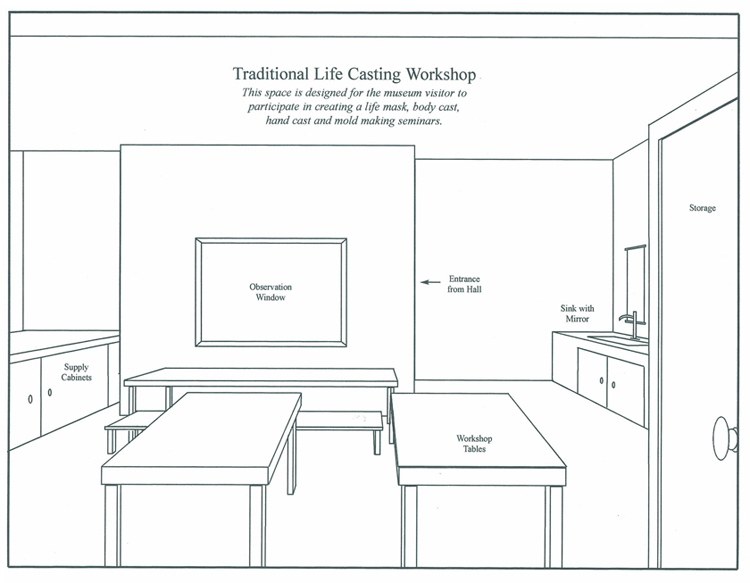 Hand casting can be reserved for school class visits.